I love adore vegetables but I can’t eat it alone because I love steaks, burgers and grilled chops. And every time I see vegetarian restaurants, I would always steer away from it for the simple reason that I liken veggie meat taste to that of antibiotics. Maybe this stigma was brought about by a past experience we’ve had way back then when we visited a particular vegetarian restaurant wherein most of their dishes tasted like medicine (Blech!). 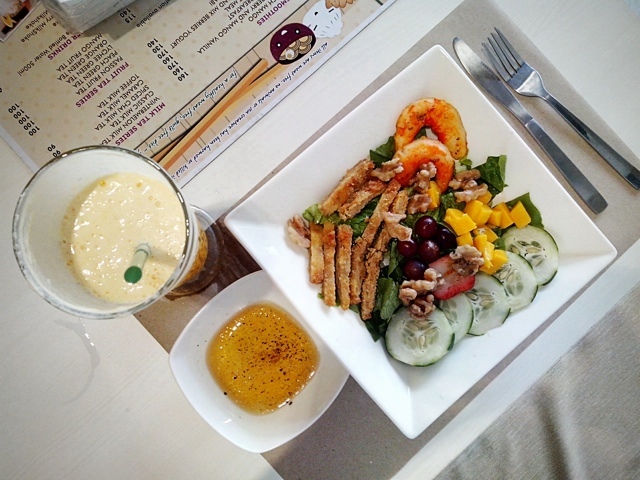 Recently, a vegetarian café opened very near our place – Agico. 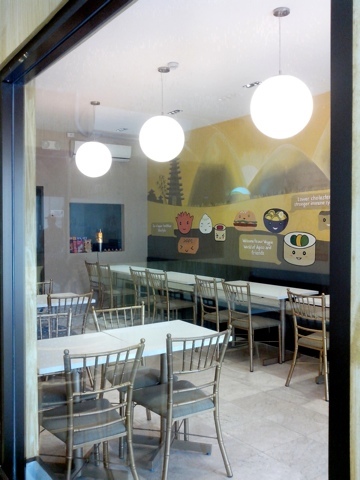 It is located just along Araullo St., within the residential area of San Juan. It’s quite impossible to miss this establishment as this is the only restaurant along the strip. Since it was merely a stone’s throw away from our place, I, together with my husband and 2 of our friends decided to try it out. Agico has a cozy ambience with very minimal decor. 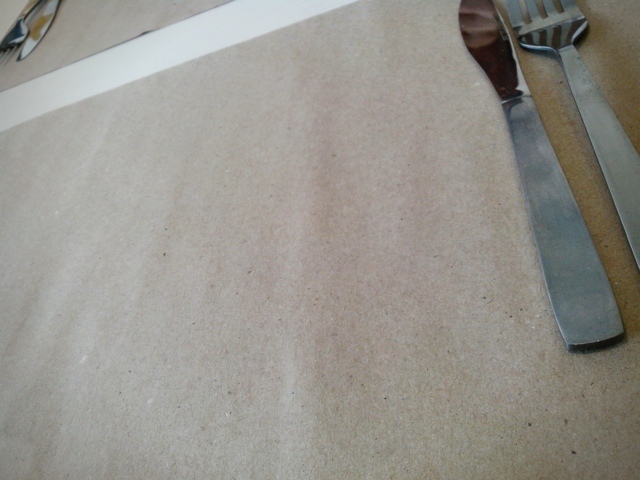 They use kraft paper as placemats which amusingly doubles as a drawing surface for kids to scribble on. 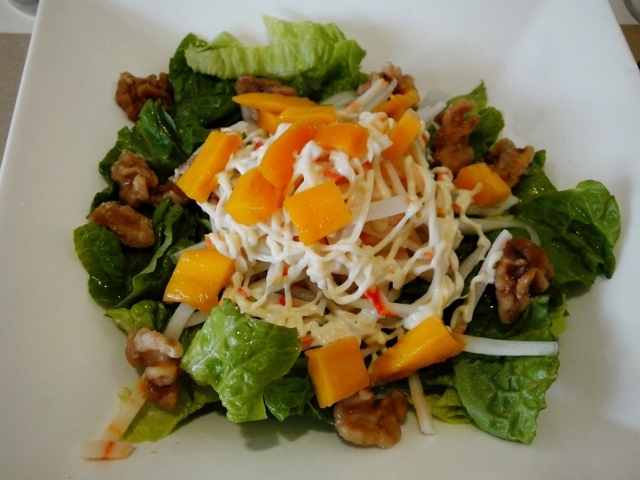 Crab Salad (Php168.00) – lettuce, cucumber, crab stick, mango and walnuts. The lettuce was fresh and crisp and the mayo worked lovely with the sweetness of the mangoes. Light, refreshing and delicious! 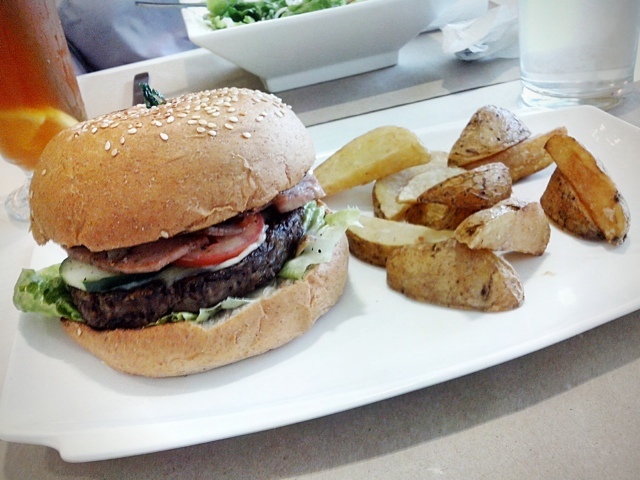 Bacon Mushroom Burger (Php276.00) – veggie patty, veggie bacon strips, mushrooms with potato wedges. It was actually filling but to be honest, it was just ok. The bacon, made with veggie meat, obviously did not taste like the real thing (no surprise there). But for the price it’s being sold for, I would probably pass on it and order something else on my next visit. Agico Salad Special (Php196.00) – lettuce, cucumber, kani, crab, grapes, mango, prawn and chicken nuggets. Assorted ingredients that you’d expect to burst into a symphony of flavors in your mouth. 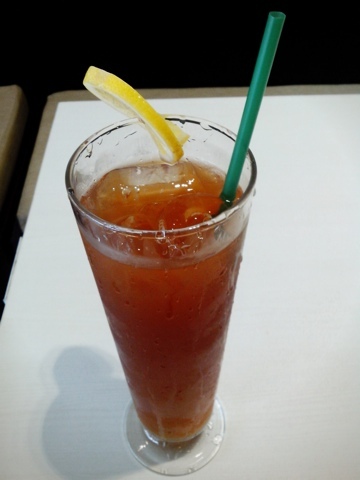 According to our friend who ordered this, it was quite alright. This dish is perfect for those on a diet since the dressing used for the salad is vinaigrette. Not bad, but not spectacularly great as well. Drop by if your curiousity begs for it. Who knows? Maybe your taste buds will enjoy it more than mine did. The upside of Agico for us, on the otherhand, is that (at least) now, we have more restaurants within our area to choose from. More choices, more options – some healthier than others. We no longer need to drive far and brave the traffic. Do you live nearby? What are your fave spots? Share them with other readers by leaving a comment below. You are Here >> Home » Food » Agico Vegetarian Cafe = Eat healthy!